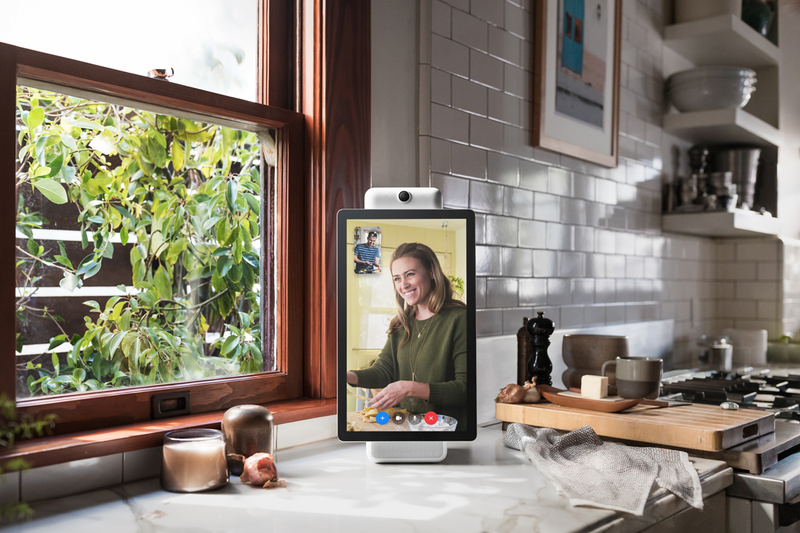 Facepalm: When Facebook launched its Portal and Portal+ video calling/smart speaker devices last week, the issue of privacy was on many people's minds. After the social network’s many scandals this year, there were concerns over what it might do with Portal users’ data. But the company assured the public that no information would be collected for ad-targeting purposes. Now, however, Facebook has admitted that isn’t actually the case. Following Cambridge Analytica and several site hacks, people have been understandably concerned about placing a Facebook product containing a camera and microphone in their home. But the firm promised that its Echo Show rivals are secure, encrypted, and don’t use facial recognition tech. Company execs also said that no data collected through the Portals would be used to target users with ads on Facebook. Not too surprisingly, it appears that last part isn’t strictly true. Recode reports that although the Portal devices don’t show ads, data about who you call and which apps you use can be used for ad-targeting purposes on other Facebook properties. “Portal voice calling is built on the Messenger infrastructure, so when you make a video call on Portal, we collect the same types of information (i.e. usage data such as length of calls, frequency of calls) that we collect on other Messenger-enabled devices. We may use this information to inform the ads we show you across our platforms. Other general usage data, such as aggregate usage of apps, etc., may also feed into the information that we use to serve ads,” said a company spokesperson, in an email to the publication. Facebook has talked extensively about the Portals’ privacy features. There’s a button to turn off the always-on camera, it comes with a lens cover, and Facebook doesn’t listen to, view, or keep the contents of video calls. But even if the original statement about no ad-targeting was a misunderstanding, the fact Facebook appears to be going back on its word could have a negative effect on Portal sales.